To mobilize the students, faculty, and staff of Emory University to collaborate with K-12 schools and community organizations to provide/support effective programs for and services to students and schools seeking to prepare students through meaningful educational and growth opportunities. To educate and empower all members of the Graduation Generation community to recognize their value and potential to make a profound and positive impact in their school, community, and world. To foster a community of support empowering K-12 students to remain in school, graduate and achieve in life. To increase the graduation rate at local low-income schools, a comprehensive place-based, family-school-community-university partnership must be employed to improve the academic performance of PK-12 students and enhance their chances for success in school and beyond. Graduation Generation (GG/GradGen) is the university arm of this partnership. After more than six years of intense learning and review, the program is positioned to expand and become a national model for university partnerships with K-12 school system. 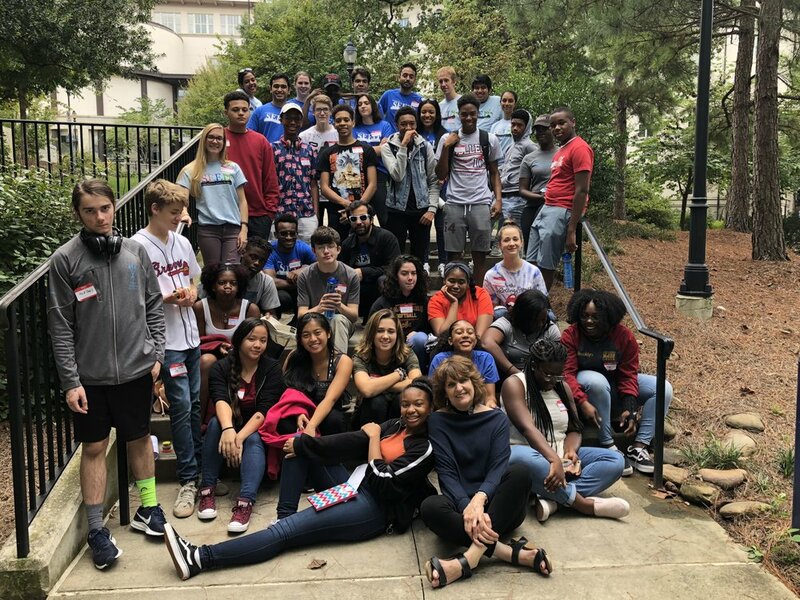 GG is housed within Emory University’s Center for Civic and Community Engagement and works in collaboration with Atlanta Public Schools and local communities to decrease dropout and increase graduation rates for public elementary, middle and high school students in metro Atlanta. GG was founded in 2010, during a period of economic depression in Atlanta, as an effort to invest in improving schools in local neighborhoods. Continuing with education justice initiatives in Atlanta, Emory University’s Center for Civic and Community Engagement focuses on developing Emory students as engaged scholars by producing graduates who are socially conscious leaders and global citizens, and who are actively involved in their local communities. GradGen was launched through a $1 million donation by philanthropist and businessman Rick Rieder, an Emory alumnus/trustee, Managing Director of BlackRock, Inc, and member of the CIS National Leadership Council.